Yesterday, we were having a more-than-deserved family brunch in Parkhurst, and happened to be seated next to a group of very elegant ladies, in their 40s, celebrating what appeared to be some kind of a baby-shower or a birthday party. We don’t have the habit of eavesdropping, but people being quite loud in this country when they go to restaurants, we couldn’t help but catch the conversation they were having with their neighbour. They were basically wondering what this “Maboneng” thing was all about, to which their neighbour was answering, quite convincingly, that Maboneng is one of the most vibrant districts in Johannesburg, where most things are currently happening A fierce rejuvenation is taking place there, and Arts on Main is the most famous example of how the district has transformed itself from being a rather dodgy area to one of the hippest places in Jozi. This was all very surprising to us. Indeed, Maboneng is one of the trendiest places in Joburg, and whichever search you make on the Internet to get to know the city will lead you there. We go there quite a lot, not only to Arts on Main, but to places like the Living Room, a mix between a rooftop bar and a jungle, offering stunning views over the city, or to the Pool Side, one of the new bars/restaurants that just opened there, allowing you to have a refreshing Aperol Spritz next to a crystal-clear pool, surrounded by the bright colourful tags of the buildings around. So discovering that true Joburgers, educated, wealthy enough to go to places like Parkhurst, who lived most of their lives in the country, don’t even have the slightest idea of what Maboneng is all about, was a very saddening discovery. This all brought us back to the reality of the place we live in. 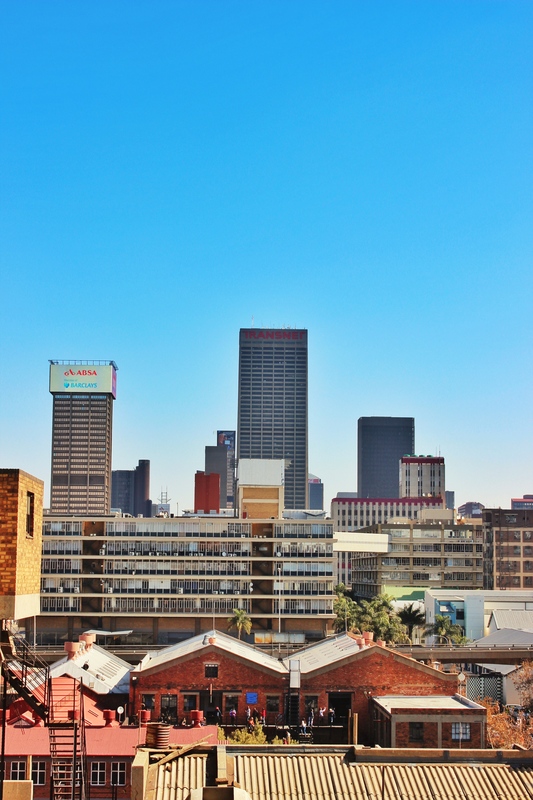 For years, downtown Jozi has been a no-go zone for most of the white residents, and there’s still a wide range of the population who does not venture there. 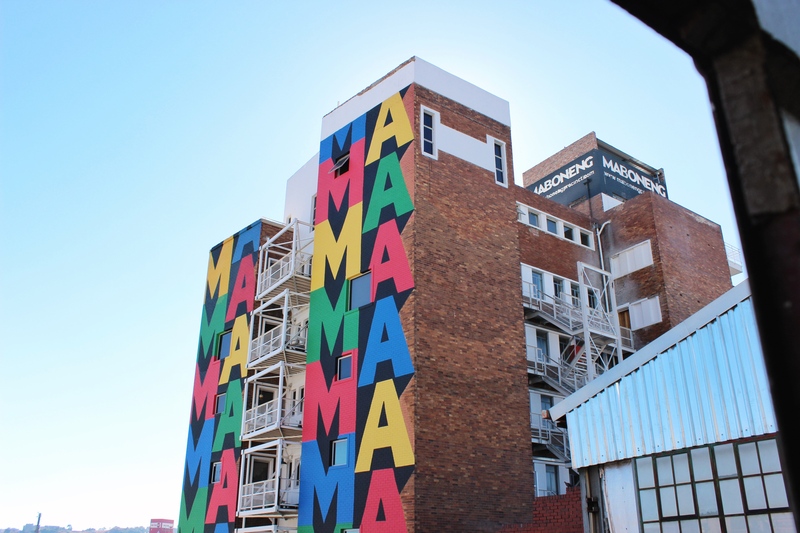 – Arts on Main is the epicentre of Maboneng’s rejuvenation. This set of old warehouses and construction buildings was bought a few years back by Jonathan Liebmann, who then worked with Enrico Daffonchio, a renowned architect to transform this industrial buildings into the successful work-and-leisure area as it is known today. – the easiest way to get there is through the M2, exiting at the Joe Slovo turn off. But, if like me, you get confused by your GPS, and end up driving through Hillbrow, don’t be scared. Hillbrow is not the war zone people think it is, and if you stick to the main roads, and avoid the area at night, you’ll be okay. 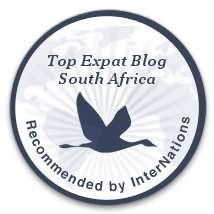 And here’s a few link to know more about the Maboneng Precinct. Enjoy!! Artsy people go to artsy places, right? Everygood’s good at the Mexican stand! Arts on Main’s terrasse. Most Sunday afternoons, people go there to have a drink and dance salsa!